ActionDD - Advocates for people with developmental disabilities, and a continuum of services that preserves our RHC system and one's right to choose. Friends of Fircrest - Friends of Fircrest is an all-volunteer, non-profit organization. Advocating for the rights to quality living choices for all people with developmental disabilities. Friends of Fircrest provides support to residents of Fircrest School. Washington State Legislature - The legislature's own page provides links to find your district, and to contact your senators and representatives. The page also provides information about bills pending in the legislature, committee meetings, hearings, and more. Admission to Rainier School. 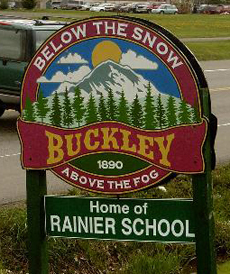 Do you have a family member who could benefit from residing at Rainier School? At any RHC? DSHS offers an application form for admission to an RHC. The form is available on the DSHS website. As a convenience, you can download the same form here in PDF format. According to federal regulations, qualifying individuals who request admission to federally funded intermediate care facilities or nursing facilities, must be so accommodated.